Terry Adams has vast experience across numerous fast-moving consumer goods categories, including food, beverages, home care and personal care in the fields of scientific research and product development. 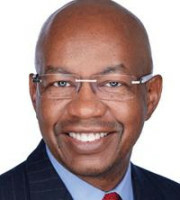 He began his career at Procter and Gamble in Cincinnati, Ohio as a product researcher in the soaps and detergents division and became group leader in the liquid dish detergent division in 1991. In 1994 Mr Adams joined the Dial Corporation (now a Henkel company) in Scottsdale, Arizona, where he became manager of process development for the personal care division. He was later appointed manager of international technology coordination, covering all of Dial’s product categories. In 1998 Mr Adams joined the Kimberly-Clark Corporation, where he held several roles before being appointed senior research manager of the global intellectual asset management team. Mr Adams provided strategic coordination of Kimberly-Clark’s 3,500 patent families and other global intellectual assets across a range of technologies. In 2006 Mr Adams relocated to Switzerland and joined Nestlé SA as assistant vice president and head of the technology IP function, a matrix network across 28 technology centres in 10 countries. He later took on additional responsibilities for the operational and support functions of the intellectual asset management and patent departments, including competitive intelligence, technology scouting, IT systems and managing external IP law firms. Mr Adams also serves on the advisory board of the Centre for Intellectual Property at Gothenburg University, Sweden. Mr Adams holds a bachelor’s (1985) and master’s (1988) in chemical engineering from Howard University in Washington DC.